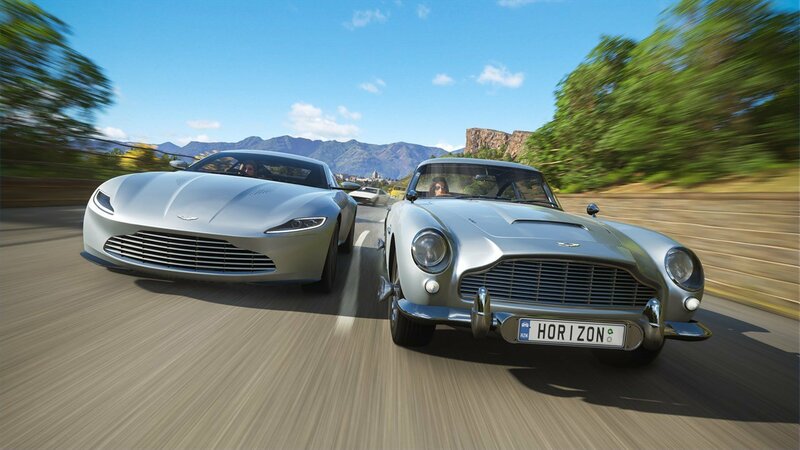 Forza Horizon 4 is an open-world racing game and is the much awaited addition to the Forza family. The game was released on Xbox One and PC on the 2nd October 2018. 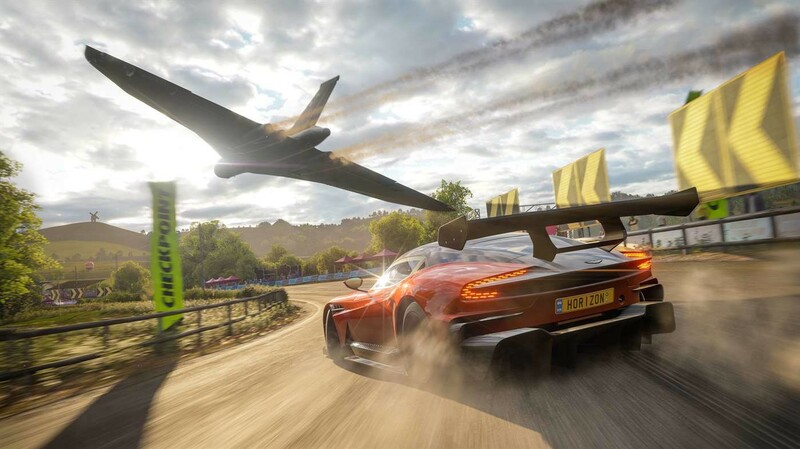 Forza Horizon 4 was developed by both Turn 10 Studios and Playground Games. Turn 10 Studios have a focus and goal of creating great racing games that represent the passion and diversity of their studio and community. Playground Games aim to make genre-defining games for a global audience, and they are recognised for being a AAA game development studio. 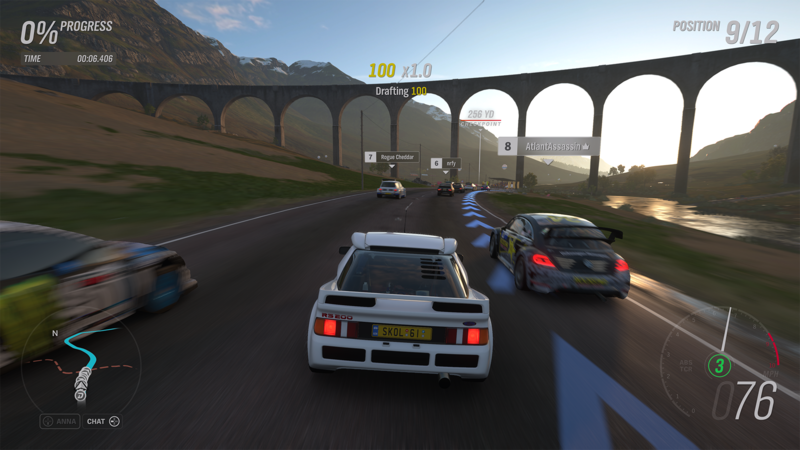 Forza Horizon 4 was published by Microsoft Studios who have in the past presented players with both AAA games and indie games. Forza Horizon 4 is available to play through a solo mode and a multiplayer mode online and is also free to play through Xbox Game Pass. How Is Forza Horizon 4 Different? 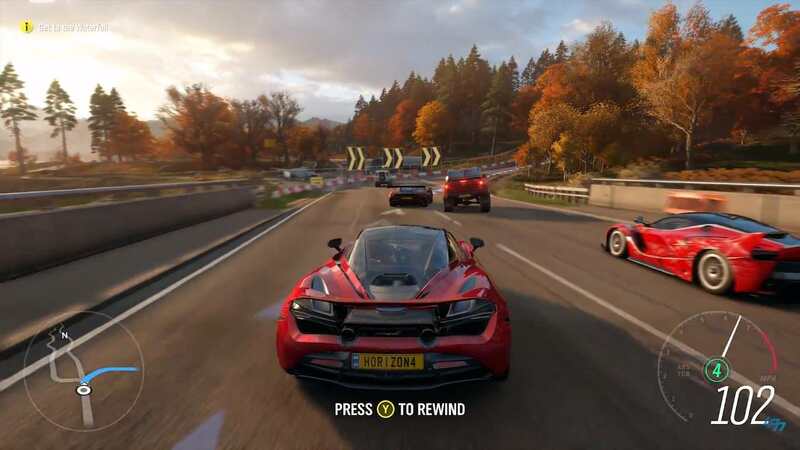 Forza Horizon 4 presents the player with multiple options when building a racing career. You can select your driver from a large number of presets and customise them as you pick up clothing and accessories throughout the game. The game features over 450 licensed cars and a vast amount of different activities to complete. During some races, at the beginning of the game, you can choose which car you would like out of 3 options. The cars within the game are completely customizable. You can manually upgrade them to include the specifics you would like, or you can automatically upgrade them. 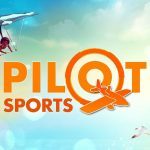 The main focus in the game is completing the races and building your career. There are other opportunities like working as a stunt driver or testing supercars and more. 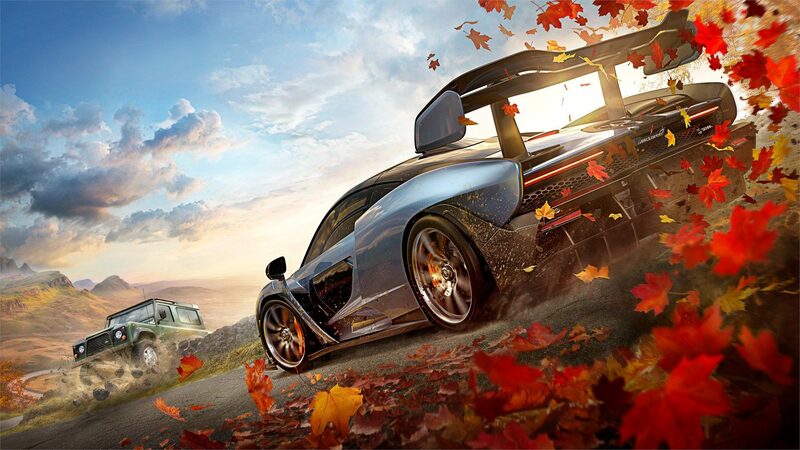 The biggest change with Forza Horizon 4 compared to the previous games is the changing of seasons. Players are introduced to all 4 seasons at the beginning of the game through a series of events. After completing this, the shared-world seasons change every week. The different seasons can affect different aspects in the game world, like lakes freezing over in winter, giving players the opportunity to reach different areas of the map. The seasons are fixed across the game servers, which means all players will experience the same conditions at the same time. Forza Horizon 4 has many different aspects. As you build your career, you will open many types of races. You will need a variety of cars to enter these races. 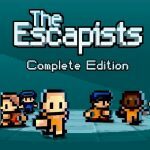 You will gain influence and money through the races and by hitting mini targets around the map, like running through influence boards or by going past a high speed camera as fast as you can and more. As you cover different areas across the map, you will gain skill points. These can be used to add different additional aspects and abilities to an individual car. There is also a photo mode that you can use to take pictures of your favourite and fastest cars in beautiful settings. The game also has a spinning wheel where you can win a vast amount of prizes, including a new car. You will find that these wheel-spins are not in short supply, so don’t worry if you only win a t-shirt or a pair of gloves on the first spin. There are so many great aspects to Forza Horizon 4 that it is hard to know where to start. Seeing as though it is a racing game, first and foremost, let;s start with the cars. The cars are absolutely beautiful. The graphics, on the whole, are stunning. I love that I can completely customize them and add my own touches to make them individual to me. From playing Forza Horizon 4, I have really enjoyed just driving around the open-world map with my Lamborghini or Lotus that I had painted purple. 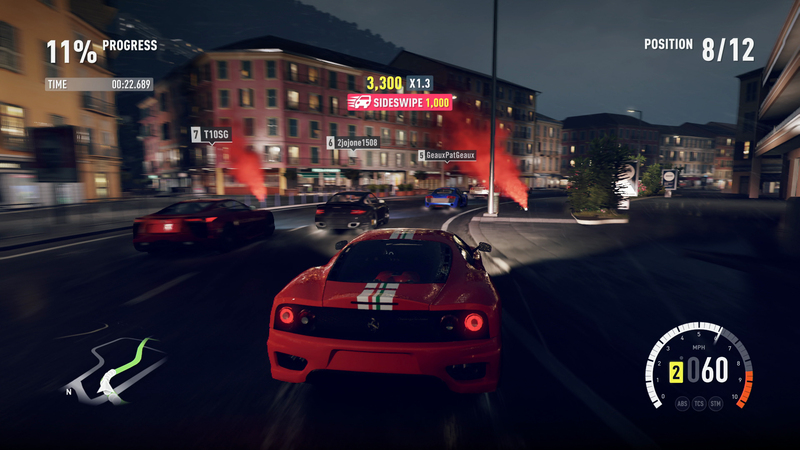 The game is completely individual and has a lot of unique touches that set it apart and set the standard for racing games. There is a lot of customization to the game. You can even create your own races. It would be impossible to write about all of the little things the game has to offer. To experience it, you have to play it. If you are not sure that you will enjoy it, you can get a month’s worth of Game Pass for about £8 and try it out. Eat My Dust, Dust Eaters! I am not normally a massive fan of racing games, but I have been looking forward to Forza Horizon 4 since it was announced. I have to say that driving around at 200 mph and beating my husband in a race has been very satisfying. What is great is that it is completely tailored to the player. Throughout the game, the different characters and even the satellite navigation will call you by your actual Microsoft registered name. For example, they would call me by my actual name, Samantha, and my husband by his actual name, James. There is also a very nice Halo Easter egg within the game. You can race against the clock, driving a Warthog and playing as Master Chief whilst on the Halo Array. It is little things like this that make Forza Horizon 4 stand out. The game also pushes you to be the best driver you can be, and it challenges you. If you are winning races quite easily, it will openly suggest for you to increase the difficulty. After you have been through the seasons for the first time, the game massively opens up. You then get the opportunity to work with others more often and contribute in Live Events. These are so much fun, and they really bring people together to work as a team. Understandably, a lot of people were worried about the sense of community with Forza Horizon 4. I can safely say that the game is not short of players or community right now. I can’t say what the future will hold, but I cannot see this beautiful game getting old anytime soon. When you are racing around with friends or a group that are working together, there is no “friendly fire”. You don’t bump into them because they kind of ghost out. You drive through them and not into them. This makes things so much easier, especially during Live Events, because it can be quite crowded at times. Forza Horizon 4 has presented us with an open-world racing game that, as we all know, changes seasons. The changing seasons is definitely a success. As the surroundings and landscape change with each season, it brings its own definition of beauty and colour. Some of the scenery is absolutely breathtaking. Your success within the races can sometimes depend on the season. If you have entered an off-road race and it is heavily snowing or raining, be prepared for it to be extra slippery. The fact that everybody is working under the same conditions at the same time makes me a feel a bit better, especially if I am the cause of a four car pile up in the snow. Forza Horizon 4 is definitely not perfect. The biggest issue is with the loading times. Each time you play the game, when you are starting it up, there are extremely long loading times. There are also points in the game where your car will just come to a standstill because of loading issues. This can be very frustrating. I found myself waiting for a loading screen when trying to start a Live Event, and everybody else had shot off without me. These issues aren’t huge, and I am not saying you will be waiting forever, but they do happen quite often. Another issue is that your car can be caught on the littlest things. You can be going 200+ mph and be flipped by a tiny rock in the road or slam into a branch that calls itself a tree. When you are going extremely fast, the car can be quite difficult to control. It can swerve with the slightest touch of movement, but I see this as being realistic. I also believe, without the wheelspin, it would be extremely difficult to gather credits (money). You don’t really get much money from completing the races. Most of the stuff you would want to purchase is extremely expensive. I found that I would struggle to buy a specific car I wanted. If I wanted to splash out and get a new house, that isn’t an option. What little credits I have managed to scrape together go towards upgrades. The majority of my credits have been founded from being lucky with the wheelspin. Forza Horizon 4 is an open-world racing game and is the much anticipated addition to the Forza family. Everything is customizable, and there is so much to do! The cars, landscapes and surroundings are stunning, and the season changes are amazing. The game is definitely not perfect, but it sets the standard for future racing games.